Many heeded these calls for research. 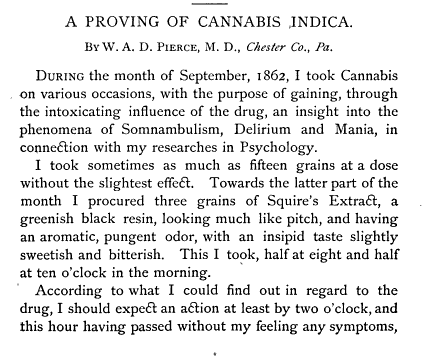 Such experiments, often referred to as provings, continued throughout the late nineteenth century, as demonstrated by a report on a “Proving of Cannabis Indica in Large Dose,” by Dr. Robert C. Bickness in the January 1898 edition of the Therapeutic Gazette. These experiments with cannabis were sometimes driven by curiosity, but were largely driven by a desire to better understand its myriad effects and better utilize liquid extracts of the plant. Some of what we find in these first-hand accounts of cannabis intoxication by nineteenth century physicians aligns with commonly held perceptions of both recreational and medical marijuana more than a century later. Happiness, contentment, contracted pupils, mental excitement and uncontrollable peals of laughter, were all regularly associated with cannabis. Dr. Pierce, for example, wrote of being “totally absorbed in the music, while a deep subdued happiness, such as I had never before felt, pervaded my whole being.” He also experienced dry mouth and a great feeling of warmth throughout his body. Cannabis was also regularly noted to increase appetite and provide deep and restful sleep, two characteristics that American physicians found beneficial when assessing the potential benefits of cannabis medicines and their potential uses. And use it they did. 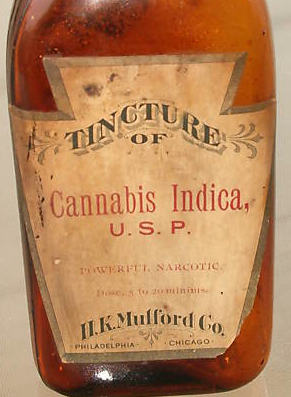 By the 1870s, the United States Dispensatory noted that “the complaints in which it [extract cannabis indica] has been specially recommended are neuralgia, gout, rheumatism, tetanus, hydrophobia, epidemic cholera, convulsions, chorea, hysteria, mental depression, delirium tremens, insanity, and uterine hemorrhage.” Moreover, cannabis preparations were found “to allay spasms, to compose nervous inquietude, and to relieve pains.” This differed “from opium in not diminishing the appetite, checking the secretions, or constipating the bowls.” Such descriptions assure us that cannabis use in the 19th century brought about many of the positive symptoms most often associated with recreational and medicinal use today. As such warnings spread, many physicians experimented with cannabis only with other doctors around, to care for them and record external observations of these symptoms. As for Pierce, he concluded that “To feel oneself under the influence of Hashish, is to feel oneself in the iron grip of a demon who directs one’s every movement and thought. Alarm, surprise and confusion enthral the reason, while fancy reigns.” Such fears led many physicians to consider cannabis alongside arsenic, chloroform, opium, ether, and other drugs. They could be both helpful and harmful, and therefore their use needed to be restricted by law. These conflicting accounts of cannabis use are both fascinating and instructive. Medicinal preparations of cannabis proved highly difficult to standardize, leaving physicians unable to ascertain proper doses even with products made by the same company. Inert doses left some physicians feeling let down by the positive therapeutic claims of their peers. On the other hand, particularly potent doses brought about frightening symptoms that also curbed their desire to prescribe medicinal cannabis preparations. This uncertainty was a major reason why cannabis ultimately lost what favor it did have among American physicians in the late nineteenth century. 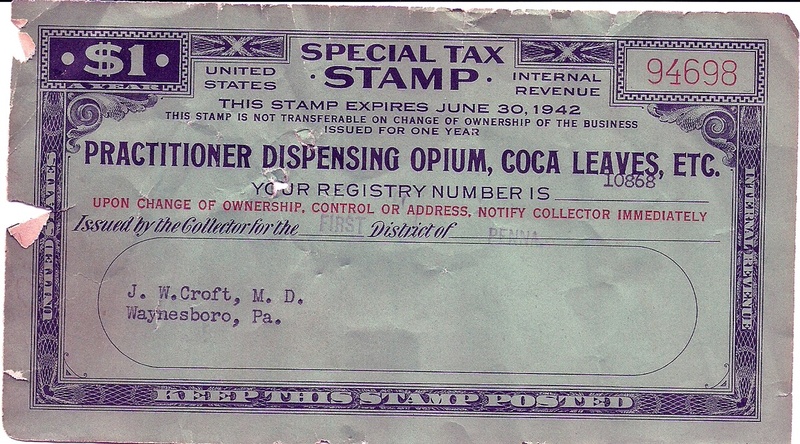 Nevertheless, in today’s debates over legalization and medical marijuana, we most often see only the positive nineteenth century uses on display. And while it is true that physicians regularly recommended cannabis for a wide range of ailments, they did not always do so unequivocally. A more complete picture shows a far more opaque judgement of cannabis, alongside calls for continued research and continued experimentation. Yet, rather than detract from pro-medicalization and/or -legalization arguments, such a history could strengthen this case by demonstrating a clear, historical foundation for such changes – beginning with the re-scheduling of marijuana for medical use. good stuff saved my life. Adam Rathge has a brief article on the efforts of 19th century physicians to research the medical effects of marijuana. Rathge describes conflicting stories about the effects of marijuana on these physicians. Remarkably, these early research efforts in the United States have been stymied for years in the United States even though most Americans will have access to medical marijuana. Rathge points out that research of marijuana’s medicinal effects will not be possible until the Federal government re-schedules the drug.